In October last year I attended a workshop in a hotel where I was also lodging. During lunch hour, facilitators waited for the conference assistants who came to lock the conference room then we went for lunch and left our laptops and their projector locked inside. After lunch, I came back to find my laptop and their projector missing! The manager asked their staff who admitted to locking the doors but said they didn’t know where the laptop was. Later the manager took responsibility and promised to compensate my laptop and even wrote a letter promising compensation. She asked for the laptop receipts which I told her I had lost, then she said I should send her quotations which I did. In December 2016 I called their office and to my surprise she said if I need a laptop I must buy one for myself! To this day I have not heard from them. Please intervene. This is a complicated one. To begin with most hotels and conference centers have a disclaimer on the wall somewhere saying that they won’t be held liable for any losses from their facilities. Those disclaimers are a bit of a nonsense because a hotel or indeed any business can’t completely disclaim any responsibility for their actions and the actions of their staff just by saying they want to. However, they’re a warning to customers that they need to take care of their belongings. In normal circumstances I wouldn’t think you would be able to claim for your laptop. But this time it’s different. Foolishly for her (and her bosses), the manager of the hotel accepted responsibility for compensating you and even put this in writing. I suggest you write to the hotel demanding compensation for the loss of the laptop within 14 days, attaching a copy of their letter that promised compensation, and saying that you’ll take legal action against them if they fail to do so. On the fifteenth day you can go straight to the Small Claims Court with all the paperwork and ask for an order against the hotel. Can I return this phone? 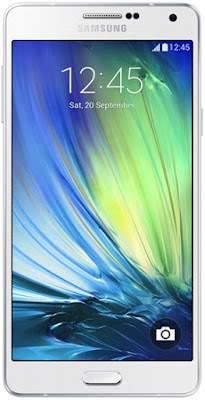 I bought a Samsung galaxy A7 for P6,499 but I'm not happy at all with this product. The keyboard doesn’t give haptic feedback (vibrate) it doesn't have this option at all. It doesn't have an LED notification light for charging and other notifications. It's an inconvenience as it doesn't show when the battery is charging and when it's full so I have to keep on checking it manually. The motion sensitive background image feature is unavailable. The multiple background images for the lock screen is unavailable. The picture quality is a let down as well. Even pictures that have been taken during the day don’t really come out clear. On the receipt it's written that "Goods correctly supplied are not returnable. T & C's apply. " All these things that I'm complaining about were not communicated to me and I also never asked as I thought they were standard things that would come with a phone for this price. I was only told that it uses a nano sim and the lady showed me how the screen protector would not cover the whole screen and I was okay with that. I want to return this product as it's not worthy of the price but I'm somehow confused by the statement "Goods correctly supplied are not returnable". Please advise. I’m not sure there’s much you can do here. I’m not a Samsung expert but a little background research showed that the features you mention aren’t available on that phone, assuming it’s the same model I found online. Yes, maybe the store should have done a bit more to explain the features of the phone you selected but that’s a matter of customer service, not consumer rights. Unless you have evidence that the store deliberately deceived you then the responsibility for researching the details of the phone was yours. Given that this was a very expensive device, it would have been worth a little time web surfing to find out what the phone offered and what it didn’t. You say you’re confused about what "Goods correctly supplied are not returnable" means but it’s quite simple. If the store hasn’t done anything wrong and the phone works then they won’t take it back. That’s quite reasonable. Remember that you have a right to one of the three Rs, a replacement, refund or repair only if the product is faulty or if the store deceived you. That wasn’t the case this time. I’m also slightly confused by your email. Some of the phrases you used are exactly the same as those used on a web site I found which reviews the phone you bought. Is it possible you changed your mind after you bought the phone and it was only then that you did the research?